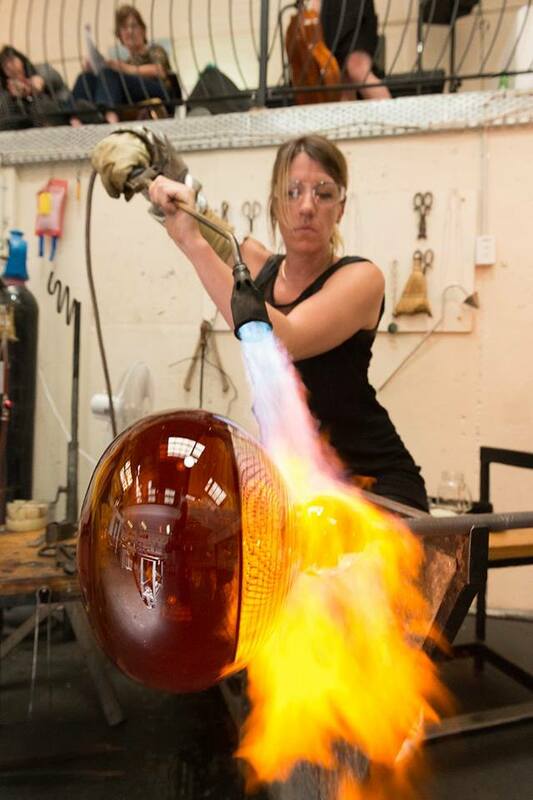 Katie now works at Wanganui Glass Studio – the only “open” glass studio in the Whanganui-Manawatu-Wellington region. 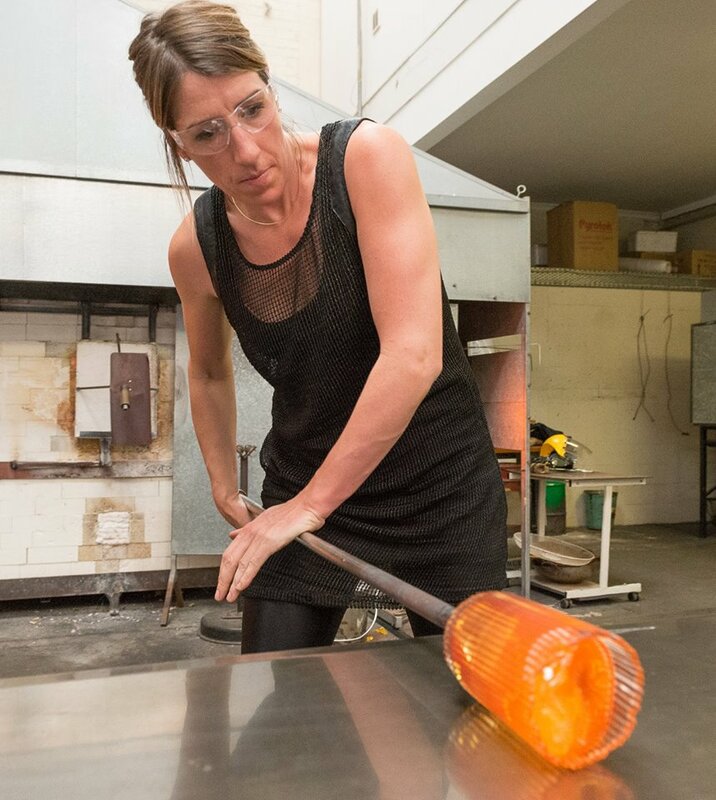 Whilst studying, Katie met internationally renowned American glass artist Josh Simpson, and was invited to travel to Massachusetts to become part of his glassmaking team. 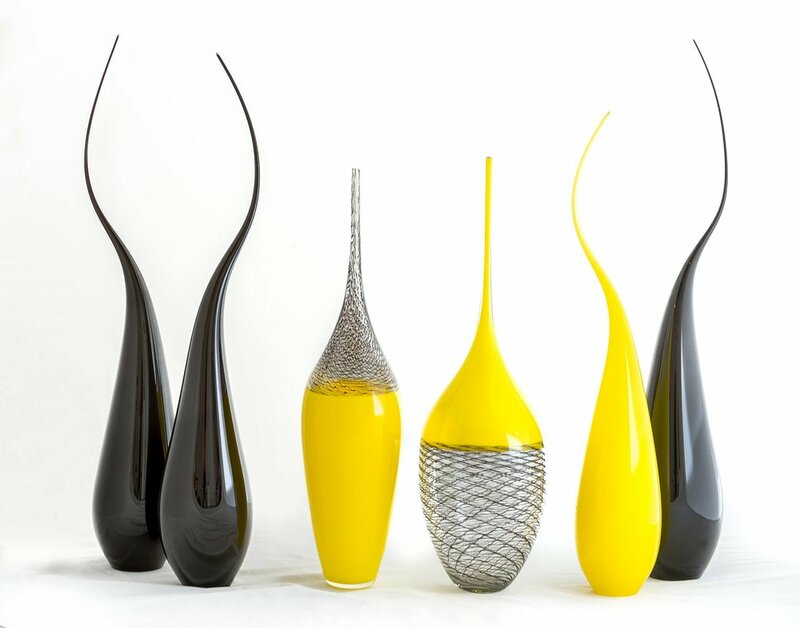 After three years working in the United States, Katie moved to England where she worked with several glassmakers, one of them being environmental glass artist Neil Wilkin. Working with Wilkin proved to be a pivotal time in Katie’s career. Having her own work space alongside Wilkin enabled Katie to produce her own work, gaining invaluable tutelage in the process. Since the latter part of 2003, Katie has dedicated her time toward helping Chronicle Glass to become operational as a full-time open studio. The space is well-suited to public viewing and invites participation from the audience. 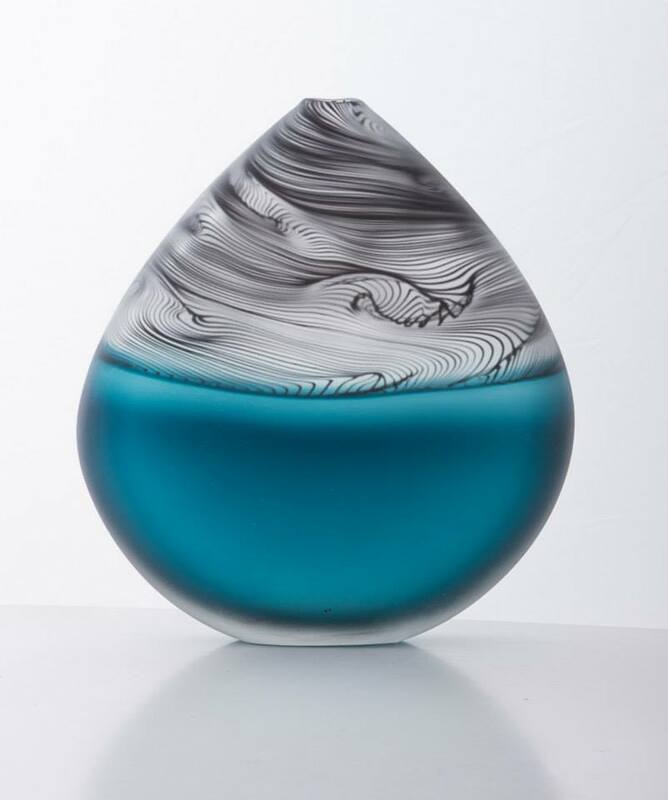 Much of Katie’s work is inspired by the natural world and this is reflected within her use of hot glass. Through her use of colour and cold techniques her pieces display a delicate sense of structure. Katie’s work reflects her versatility, producing a variety of pieces ranging from jewelry to goblets, bowls, platters and ambience lighting.